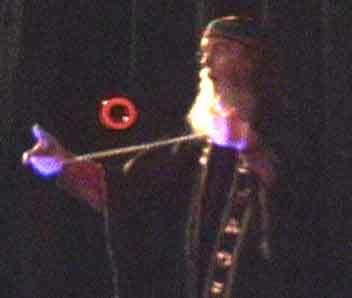 Taken in November 2001 at the Magician's conference "GILI GILI 2001" in India and at the "Magical Mystery Duel" August 2002 in Campbell California. 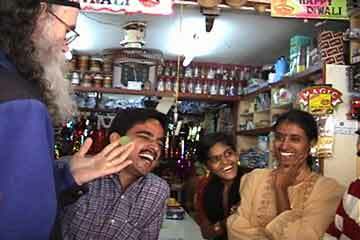 In a small shop in India, Hughie amazes and entertains with a small ball sold to him by the shop owner. The ring dances on a tightrope! 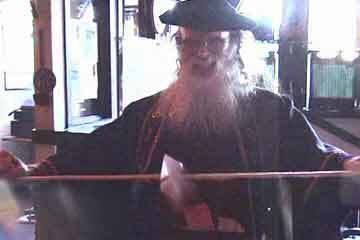 A funny fake finger from his beard! Card extracted from the belly!